The peoples of both Israel and Palestine want and deserve a just peace. We support and encourage parties from all sides who put aside divisive rhetoric to work for a lasting resolution to the conflict. The long-running Israeli-Palestinian conflict has been one of The Elders’ top priorities since the group was founded. More than two decades after the Oslo agreements and many rounds of negotiations, real progress towards a lasting peace between Palestinians and Israelis remains elusive. 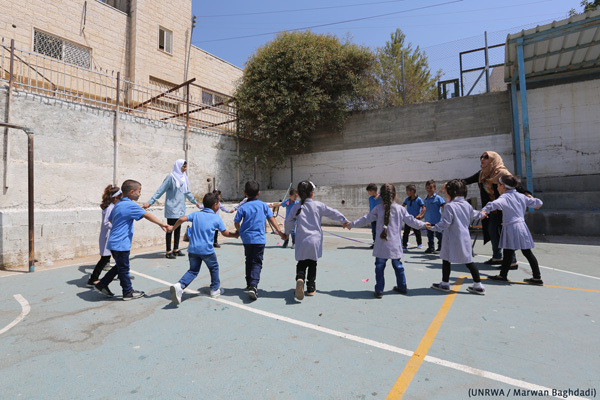 Given the far-reaching impact of the unresolved conflict and the power imbalance between the parties, The Elders believe the international community has a vital role to play in helping Israelis and Palestinians reach a lasting solution. 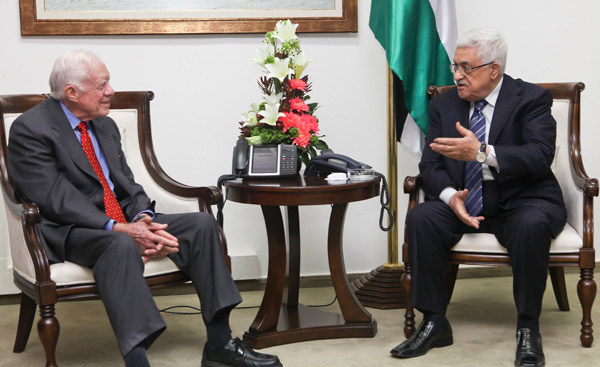 They fully support the Arab Peace Initiative, originally proposed in 2002. 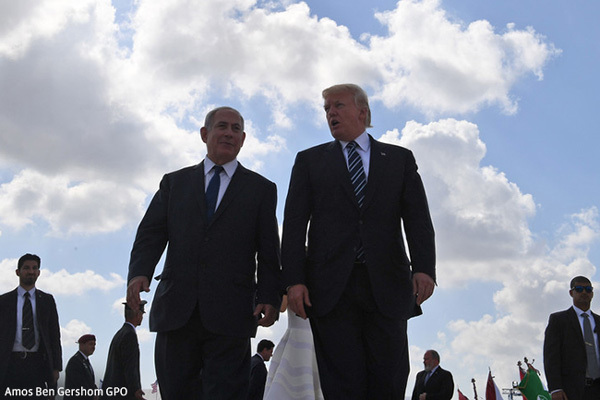 This calls for normal, peaceful and secure relations between Israel and the Arab world, in return for Israeli withdrawal from Palestinian territory occupied since 1967, the establishment of a sovereign Palestinian state, and a just solution to the refugee problem. And will establish a lasting peace between Israel and all its neighbours. Only a just and secure peace, based on international law and human rights principles, offers a genuine prospect of guaranteeing the right to all Palestinians and Israelis to live in equality, dignity and security. The Elders are deeply concerned that recent developments and decisions by the Government of Israel, the Government of the United States and Palestinian leaders are unconducive to reaching the just and secure peace that the peoples of Israel and Palestine deserve. In 2018, they condemned the US decision to move its Embassy in Israel to Jerusalem, the killing of unarmed protesters in Gaza, and the US move to withdraw funding from UNRWA, the UN agency responsible for the welfare of Palestinian refugees. The Elders believe that civil society organisations in Israel and Palestine are critical actors to build trust between communities, defend human rights and demand justice for the victims of oppression, occupation and discrimination. They will continue to stand in solidarity with civil society and amplify their voices on the international stage. The Elders visited Israel and Palestine to call, publicly and privately, for a complete shift in policy towards Gaza that would address the root causes of the 2014 war, end the humanitarian crisis in the enclave, and prevent renewed conflict. 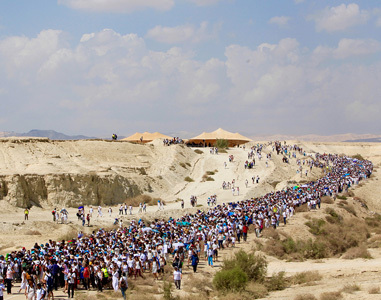 In addition, they explored the dwindling prospects for the two-state solution with both Israeli and Palestinian officials and civil society representatives, and stressed the need for reconciliation among the Palestinian factions, and the importance of reconnection between the West Bank and Gaza. Read the live blog and Gro Harlem Brundtland's statement from the visit. 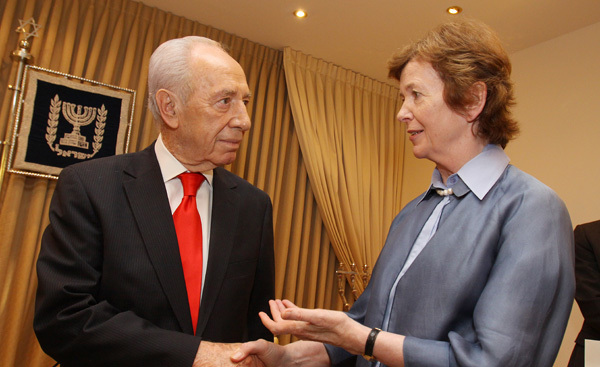 The Elders visited Israel, the West Bank and Egypt to draw attention to the imperilled two-state solution. After meeting Israeli and Palestinian political leaders, civil society, and humanitarian and human rights experts they warned that the situation was veering towards a disastrous one-state outcome, and called for a fresh approach to stimulate negotiations between the Israelis and Palestinians. On the delegation: Gro Harlem Brundtland, Jimmy Carter and Mary Robinson. Read the live blog from the visit. The Elders visited Israel, the West Bank and Gaza, Egypt, Jordan and Syria. They called for a more comprehensive approach to the Israeli-Palestinian peace talks following discussions with government officials, civil society, business leaders and young people. The Elders emphasised that ending the occupation of Palestinian land is the only way for Israel to achieve peace and enjoy normal relations with Palestinians and their Arab neighbours. On the delegation: Ela Bhatt, Lakhdar Brahimi, Jimmy Carter and Mary Robinson. Read their trip report, A Just and Secure Peace for All. This latest report calls for a greater sense of urgency to bring about a peace based on international law. 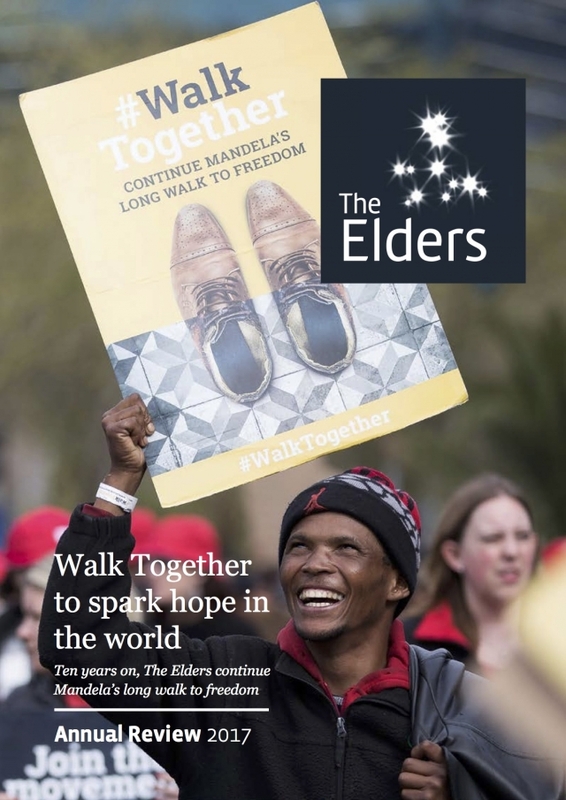 The Elders visited Israel and the West Bank to meet youth representatives, non-violent activists, women’s organisations, human rights experts and UN agencies, as well as Israeli and Palestinian officials. From both Israelis and Palestinians, they heard a consistent message that peace is possible and achievable. On the delegation: Ela Bhatt, Gro Harlem Brundtland, Fernando Henrique Cardoso, Jimmy Carter, Mary Robinson and Desmond Tutu. 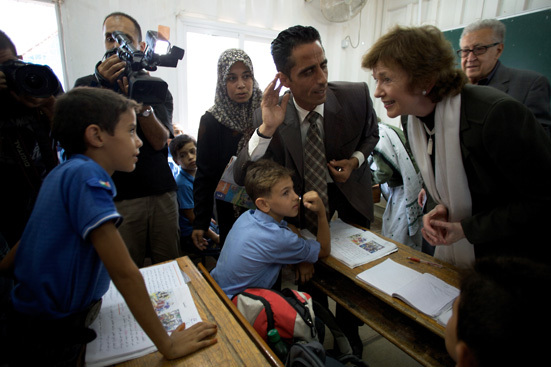 Download The Elders' trip report, People and Peace in the Middle East. This report examines the impact of the conflict on ordinary Israelis and Palestinians.